Of all of the regions in Italy, Sicily has arguably the most unique cultural heritage, being equally rich in arts, cuisine, architecture and language. Sicily’s geography, however — boasting rugged mountains, rolling vineyards, and sublime beaches — is no less diverse. While Sicily boasts some of Italy’s best examples of Baroque towns, its most enduring monument is not man-made, however. The region claims Mt. Etna, Europe’s biggest volcano and one the world’s most active. The historic mountain-top town of Taormina, one of the top tourist destinations in Sicily, offers majestic views of Etna as well as the seemingly endless Mediterranean Sea. Join Well Arranged Travel’s upscale, escorted small group tours of Sicily and explore Sicily’s natural and cultural wonders. 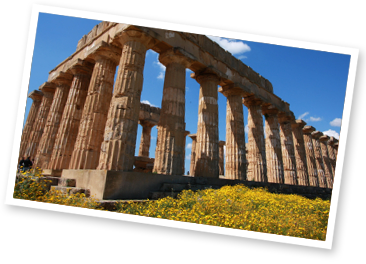 See our joinable Sicily tour incorporating the best of this region, or contact us for more ideas and information on a custom private tour or private vacation of Sicily just for you.